Since its foundation in 1918, CITIZEN has continued its quest for the essence of timekeeping, always on the lookout for new possibilities and has always pushed the limits of watch technology as a true manufactory. The Cal.0100 has an accuracy of ±1 second within a year – making it the most accurate Eco-Drive watch available today. It offers precise, autonomous and continuous time measurement and relies exclusively on the internal mechanisms of the watch for its precision and reliability. This success follows on from past successes, including the release of the Citizen Crystron Mega in 1975, which at the time was the first quartz watch with an accuracy of ±3 seconds per year. The following year, CITIZEN invented the world’s first analog quartz watch, powered exclusively by light and known as the Eco-Drive. Since then, CITIZEN’s watchmaking expertise has been continuously developed through its in-house development pipeline, enabling further advances in accuracy and run time. The Cal.0100 is handcrafted and set in sapphire crystal. The shape and design of this concept watch pays tribute to the company’s first pocket watch from 1924, the first watch with the brand name “CITIZEN”. 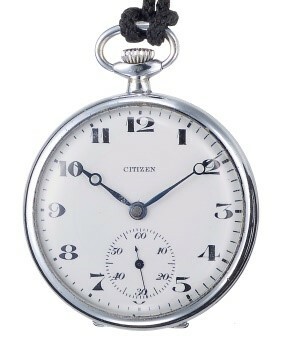 The CITIZEN pocket watch rightly bore its name and symbolized the brand’s mission to provide high quality watches for people from all over the world. Although the Cal.0100 will not be commercially available, its accuracy and drive technology will continue in future models from 2019. For the Cal.0100, CITIZEN has designed an original AT crystal oscillator that minimizes the effects of temperature changes and gravity on accuracy. The AT crystal oscillator can stabilize temperature-related frequency fluctuations that have been significantly reduced at acceptable operating temperatures (between -20° C and 60° C) compared to traditional tuning fork crystal oscillators. In addition, the AT crystal oscillator is less affected by the position and movement of the clock, as its vibrations are lower. The Cal.0100’s AT crystal oscillator permanently measures the frequency and adjusts it to temperature changes. In addition, the watch is shock-resistant and has a function that automatically corrects the position of the hands, further optimizing accuracy. While traditional tuning fork-shaped crystal oscillators run at 32,768 Hz, the AT crystal oscillator vibrates at a frequency of 8.4 MHz (8,388,608 Hz) and requires a larger amount of electricity. CITIZEN, a pioneer in light-powered technology, successfully integrated an Eco-Drive drive into its AT crystal oscillator and applied its own energy-saving technologies, allowing the Cal.0100 to run fully charged for six months – even without incident light. 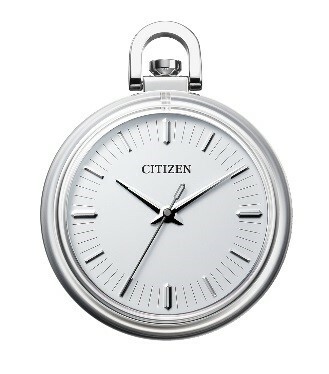 CITIZEN was able to achieve an annual accuracy of ±1 second for its Eco-Drive, a new benchmark for future watchmaking. 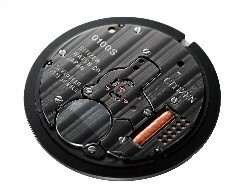 The drive is visible on the back of the watch through the sapphire crystal case treated with CITIZEN’s proprietary Duratect DLC*2 (diamond-like carbon) surface hardening technology. The result is an attractive dark grey tint and a glossy surface that optimizes hardness and corrosion protection. The hour and minute hands are arranged hexagonal, aligned with the quartz crystal and symbolise ultra-precise precision. Throughout its 100-year history, CITIZEN has worked to improve accuracy and, as a pioneer in materials science, has constantly introduced new and modern technologies. Through the optimization of all elements and thanks to its accumulated experience and expertise, CITIZEN has developed the Cal.0100, a drive capable of measuring every second in its purest form. CITIZEN’s constant commitment to watchmaking tradition and technology has passed the test of time, and the company looks forward to the next 100 years of innovation for Citizen Watch Group.